I folded an 8-1/2" x 11" sheet of paper in half and tore uneven strips. 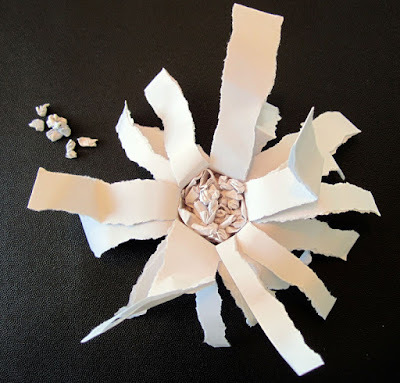 Then I twisted and folded the paper, until it looked like a flower. In the center of the paper flower, I used crumbled bits of paper to create sunflower seeds.